Every day I wake up and pinch myself I’m so grateful to be living in Malibu with my mom and dad. It’s a magical place and so, sometimes, we forget just how special it is. Take last night. We were all lounging together on the bed when we heard a loud ‘bang’ that sounded like a gunshot. Thankfully, it wasn’t the neighbors run amok but the prelude to a spectacular fireworks show at Paradise Cove that lit up the ocean and the highway. The shelling lasted for 20 minutes. 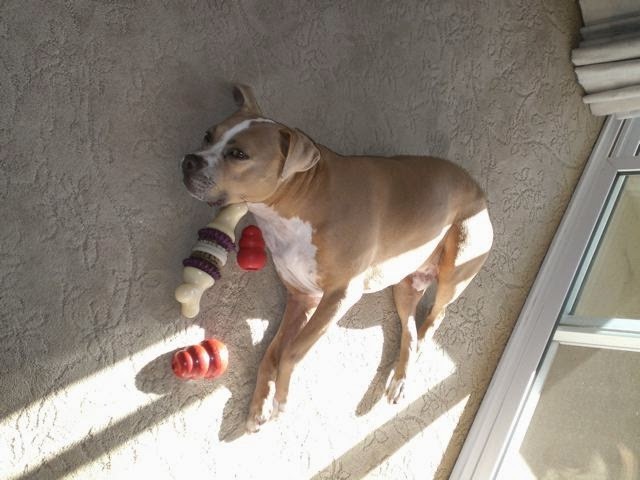 By then, this pit bull was beyond freaked (loud noises and wind storms still take me back to my scary days as a homeless puppy) but Eugenie and Lou said it was the best show ever in the 23 years they’ve been living here. When they saw me shaking and quaking, they hauled me up onto the bed and spooned me until I settled down. Lou and Eugenie wanted me to mention that several friends have recently published Y.A. 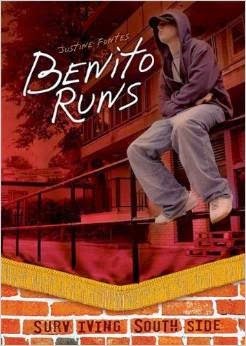 (Young Adult) novels. K.V. 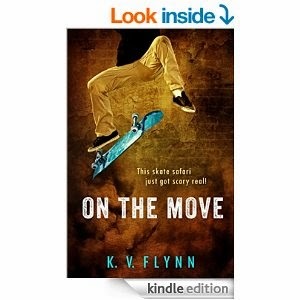 Flynn’s ON THE MOVE takes place in the SoCal skater culture, while Justine Fontes’ DEADLY DRIVE and BENITO RUNS offer gritty ‘high-low’ tales (advanced stories, accessible vocabulary) set in an urban Texas high school. If you’re looking to spur your kids’ interest in reading, give these gems a look-see.